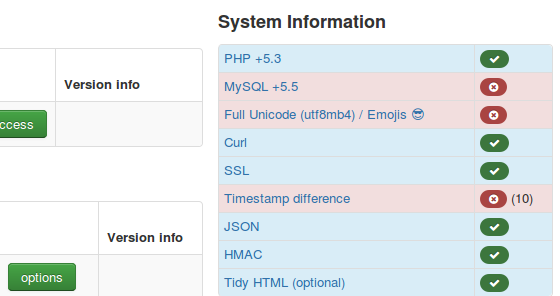 I still have MySQL 5.1, can I publish Emojis? Write short social media posts! AutoTweet and Joocial, Full Unicode and Emojis 😎 support for Joomla! Joomla! 3.5 has been released with a new feature: Full Unicode (utf8mb4) support. The difference between utf8 and utf8mb4 is that the former can only store 3-byte characters, while the latter can store 4-byte characters. In Unicode terms, utf8 can only store characters in the Basic Multilingual Plane, while utf8mb4 can store any Unicode character. This greatly expands the language usability of Joomla!, especially in countries that use Han character sets. Unicode isn’t without its problems, but it’s the best option available. We can talk many hours about the amazing features being included in Joomla! 3.5... Forget it! It is all about Emojis. Emojis are the main feature that we love on Facebook, Twitter, WhatsApp and every possible social network. Now, with the upcoming release Joomla 3.5, the full range of expressions are available for social publishing from Joomla! sites. We have just released AutoTweet and Joocial 8.5.1 beta as the first release to fully embrace Full Unicode and Emojis 😎. 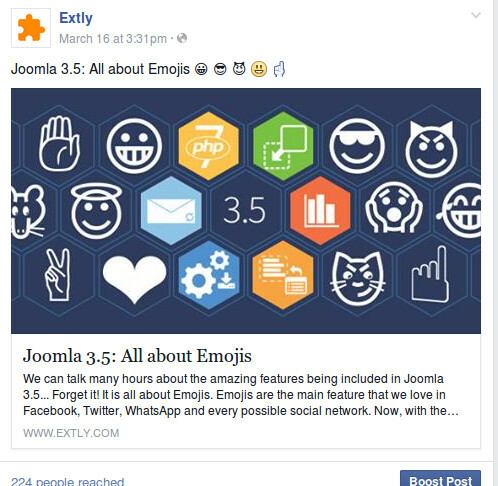 # How can I add Emojis to my articles and posts in Joomla? In this version, you can simply copy and paste any Unicode character. In the upcoming AutoTweet and Joocial 8.6, we plan to add an Emoji picker. Please, take into account that Unicode characters can be represented in different ways, according to the implemented iconset or font. Your MySQL server is version 5.5.3 or higher (including all 10.x versions of MariaDB). Your MySQL client libraries are version 5.5.3 or higher. If you’re using mysqlnd, 5.0.9 or higher. utf8mb4 is 100% backward compatible with utf8. # I still have MySQL 5.1, can I publish Emojis? No, Utf8mb4 is only available with MySQL server version 5.5.3 or higher.